Corporate gift planning guaranteed to WOW! The road to perfect client business gifts is often filled with Google Map-less navigation, possible wrong turns and often surprise stop signs (you know, those times when it’s December 15th or the day of someone’s birthday and you still haven’t figured it out). Worse yet are the roads most traveled and the “same ole, same ole” gifts that really don’t suggest the true gratitude you have for these special work relationships and partnerships. In order to help you be certain that your gift will inspire joy, gift envy and happier, more personalized customer relationships, we have put together 7 steps to guide you in creating and sending incredible and memorable gifts to your valued clients for every single occasion. The most memorable business Christmas gifts are those that are truly unique and unusual. They show the recipient how much they mean to you personally and how much your business means to them professionally. While the same generic corporate gift basket every year does acknowledge that you do business together, it leaves out the relationship between the people sending and receiving the gift. Show that you have paid attention to the little things that make the recipient feel special, a gift reflective of their personal tastes and preferences. 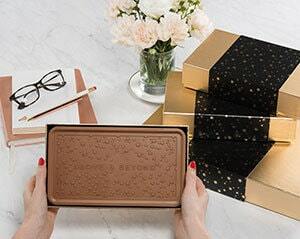 We suggest a one-of-a-kind objet d’art or a scarf or shirt in someone’s favorite color, as well as our personalized, engraved Belgian Chocolate gifts. All will be remembered and appreciated well beyond the actual occasion. 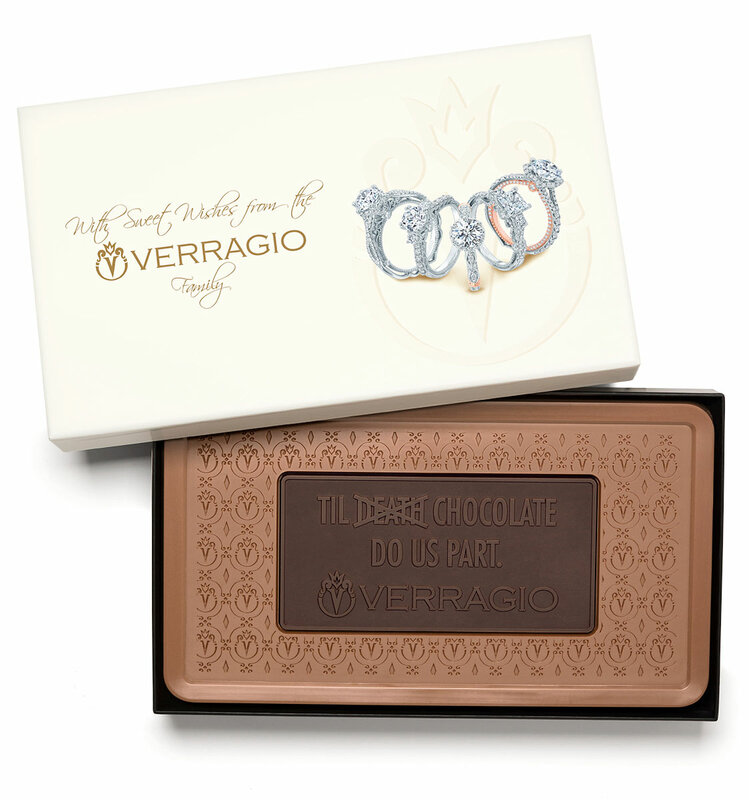 Everyone wants to give – and receive – a gift that feels luxurious, expensive and exclusive, regardless of the budget. It’s often difficult to find something that accomplishes all of that when in search of business gifts. 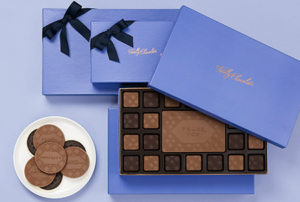 Totally Chocolate precision-crafted, custom-engraved, Belgian chocolate gifts are more than a simple confectionery treat. 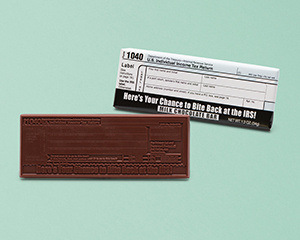 They offer a unique and unforgettably delicious way to show business can indeed be personal. 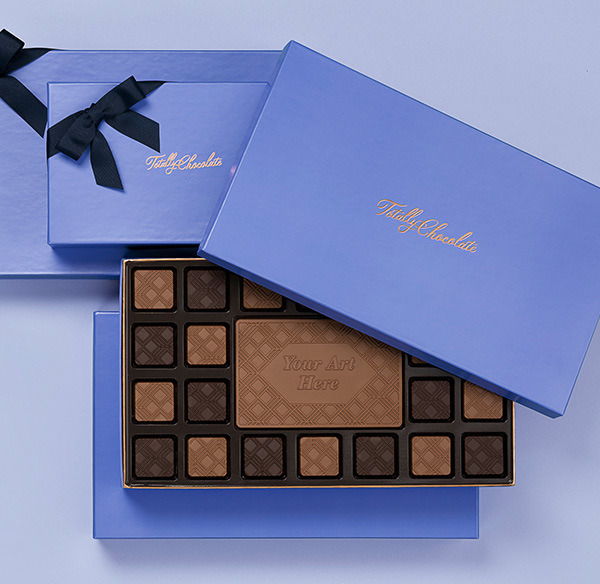 Surprise and delight with the flavors, toppings and exclusive hand-crafted packaging options for every aesthetic, and marvel at the exquisite engraving, custom designed, personalized chocolate detail that only Totally Chocolate technology can accomplish. 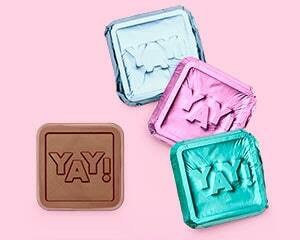 The bonus: Totally Chocolate is free of waxes and fillers, AND certified-Kosher. Sharing and celebrating good food in a group is something humans have been doing since the dawn of time. It’s a fun way to form or strengthen bonds, share culinary discoveries, show off taste levels and interests, as well as extend good tidings. 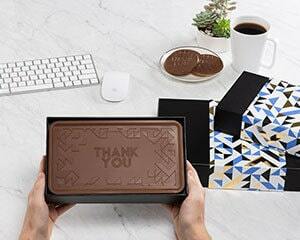 And every time the office shares delicious customized gifts, your company has that many more opportunities for someone to post about the gift on their social media. Happy clients, more marketing power? Win, win and win some more! TIP: Share the very best sweet treat with your squad, but don’t share that nasty virus over in the accounting department! 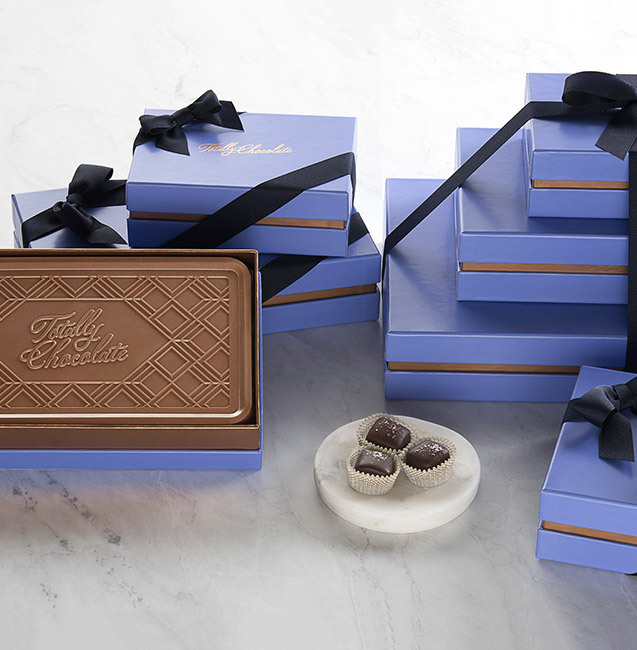 Totally Chocolate recommends gifts for sharing such as our chocolate ensembles that separate each piece individually, eliminating opportunities to spread germs, or our single serve bags of popcorn, pretzels, barks or single-wrap engraved cookies. Food-related gifts can fall flat when random, generic products are thrown into a corporate gift basket. 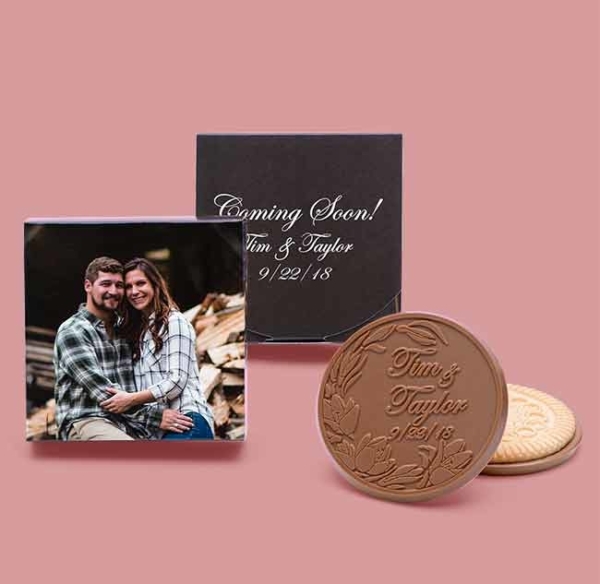 Personalized corporate gifts such as Totally Chocolate custom engraved artisan chocolate create fun, thoughtful gifts that show how much time you put into creating a special memory. 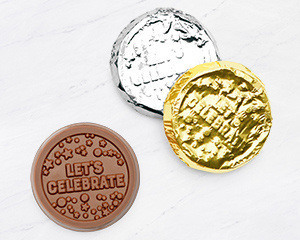 Whether it’s for a holiday or for birthdays, celebrations, appreciation or thank yous, product launches, trade shows, special events or company picnics, everyone will remember delicious, engraved custom chocolate. 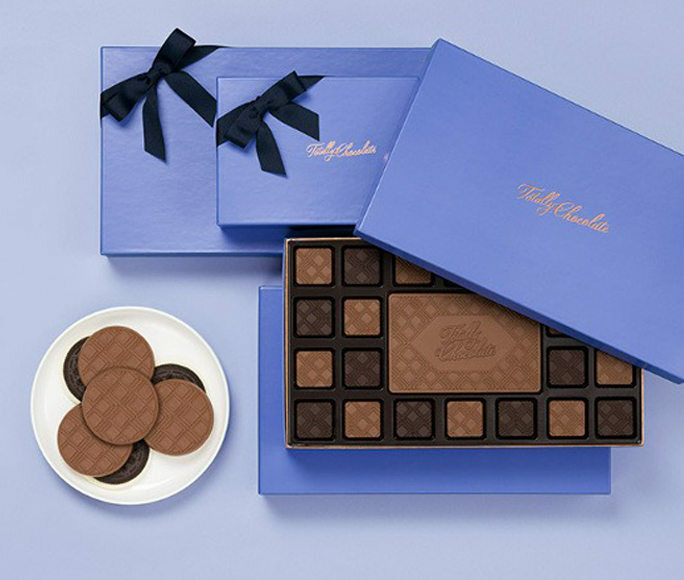 Add hand-crafted, luxury packaging to the mix and your gift will provide smiles for days. Deliver real joy and send something that was literally made for them! 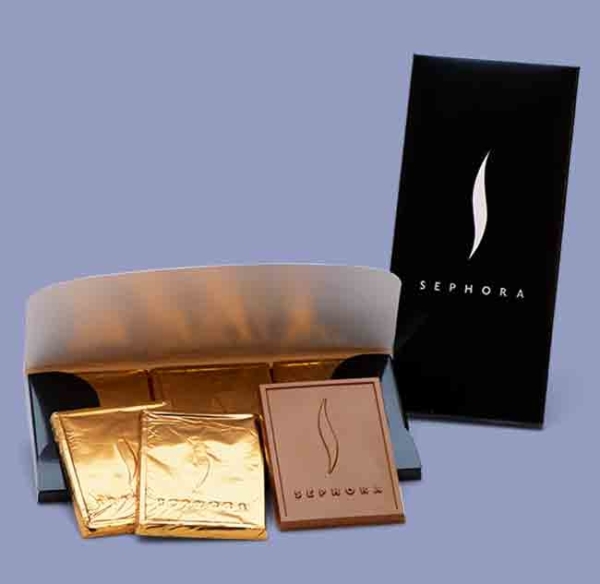 Fully custom engraved chocolate gifts let you decide not only what gets engraved on the chocolate, but the package design as well. Our team of chocolate artists are trained in translating your gift idea into mouth-watering Belgian chocolate, free of waxes and fillers. 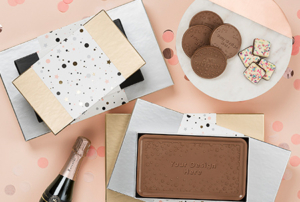 Want to send a customized chocolate Bentley to your favorite auto dealer or a chocolate wedding momento with the names of the bride and groom to your best client? 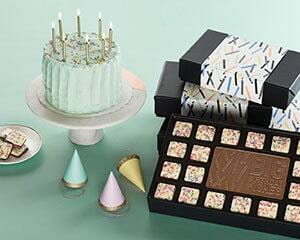 You can choose the flavor—milk chocolate or dark chocolate—and choose the toppings, including favorites such as peppermint bark, milk toffee, birthday cake and cookies & cream, to make it purely personal. Low on time? 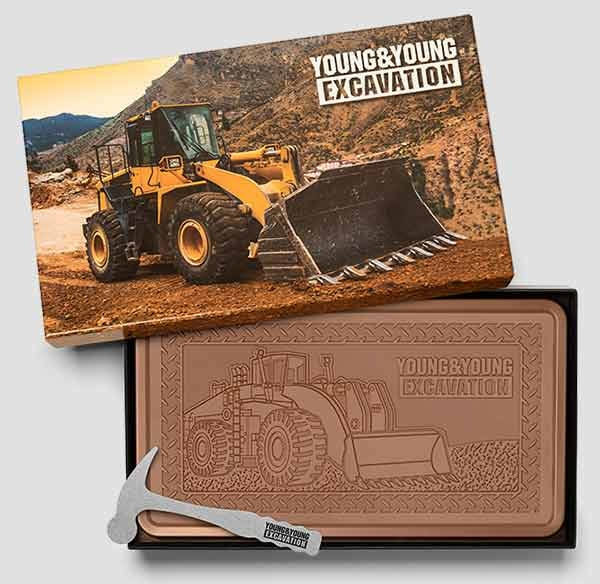 Totally Chocolate’s personalized corporate gifts can be conceptualized, created and shipped within 14 days after your artwork approval! Can’t figure out what to spend? No problem! We have created a handy guideline to help you out. As a general rule, the cost of business gifts should reflect the value you place on the relationship you have with the recipient. What is the lifetime value of the relationship? How important is this customer/client/vendor to your business? What percentage of your annual revenue is tied to this business relationship? Is the recipient an executive, middle management, junior management, an employee or a vendor? Check out the chart below and never worry about who gets what again! Concerned about your gift getting lost in the clutter? 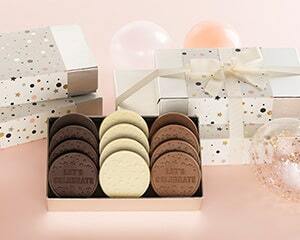 A new trend is emerging in January gift giving that ensures your item really makes its mark. This unconventional, but no less special, timeline creates an immediate sense of surprise and delight for the recipient, while it adds more time for the gift giver to consider their options. 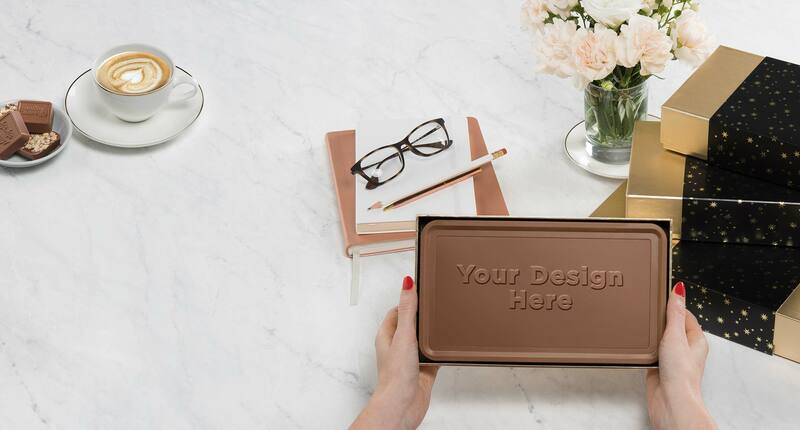 If you are worried they will think you dropped the ball over the holidays, just add a customized message to the gift that speaks to your intent. 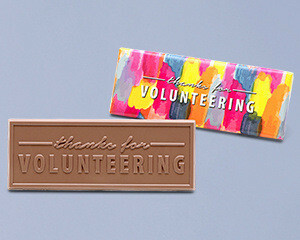 Totally Chocolate gifts are made to order, so any messaging is possible! And there are plenty of other times and occasions to tell them thank you and send them good vibes. 88% of people give gifts during the holidays only, so why not stand out and send a special nod for Valentine’s Day, July 4th or even Halloween! The sky’s the limit when the gift is customized!